So, Loris Karius isn’t the dodgy, nightmare-inducing keeper many branded him after two or three matches between Liverpool’s sticks…? 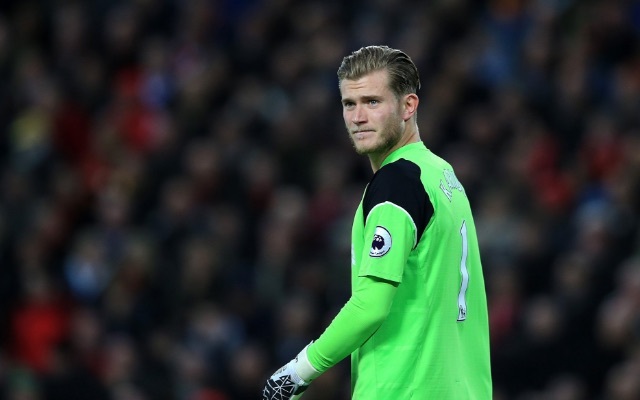 Lessons though are rarely learned and Karius, despite being on the winning side of his first three matches, against Derby, Hull and Swansea, conceding just twice in the process, was declared incompetent. The truth is though that fans airing these grievances hadn’t understood why Jurgen Klopp signed Karius in the first place. Few know the Bundesliga better than our beloved boss and his opinion should’ve been trusted. After all, Klopp moved to buy the 23-year-old right at the start of the summer and made him first-choice ahead of seasoned Premier League stopper Mignolet at the very first opportunity. There was never a doubt in our manager’s mind. What’s more, Karius was voted second best keeper in the Bundesliga last term while playing for Mainz, behind Manuel Neuer. He was ranked ahead of Bernd Leno, Roman Bürki, Ralf Fährmann, Timo Horn and Yann Sommer to name but a few. Soon, the same supporters ridiculing him will be saluting the club for snaring Karius for under £5m – peanuts in today’s transfer market. In the nine games Karius has played for Liverpool in all competitions, he’s kept four clean-sheets and conceded just six goals. We’ve never lost yet with him guarding net. It was at home to Watford at the beginning of November that we began to see his superb shot-stopping ability and despite conceding in this fixture (not his fault), he’s gone 195 minutes without letting one in since – racking up consecutive clean-sheets versus Southampton and Sunderland. Against the Black Cats, he rushed out to block Duncan Watmore in the second-half, which actually kept us in the game before Divock Origi’s opener. However, the only discussion of his performance that followed was his absurd goal-kick, which saw him put the ball out for a corner when trying to feed Joel Matip on the right! Still, it didn’t cost us and you can be sure Klopp won’t mind; considering it shows Karius is determined to play out from the back at all costs. No harm done. In short then, Karius is an undefeated keeper, who cost a bargain fee and suits our style of play. If this is the ‘unsettled’, ‘unadapted’ version, how good’s he going to be this time next year?